In my post last week, I referred to Pinterest as the new hot topic and hinted that I should probably join in on all the fun and write my own post about the new social phenomenon. Well here it is! First let’s dive into what Pinterest is, because although most of you have probably already heard of it or are currently addicted to it, there are many who are unaware of this new network. Pinterest is a virtual pinboard in which you can “pin” images and videos – it is basically a huge image sharing website! Users create boards related to specific topics and from there pin or repin content onto these related boards. It really is like having gigantic pinboards that you can use to display magazine cutouts. Pinterest began in early 2010 and this invite-only social sharing site has already surpassed 11.7 unique visitors, making it the fastest site to reach 10 million uniques visitors. It has already overtaken Google+ in terms of driving traffic back to websites and I feel like I see a new tweet about Pinterest every 5 minutes. Forget Linsanity, it is all about Pinsanity! Side note: It was just recently discovered that Pinterest is earning affiliate commission off of some of their referral links, depending on companies that are participating in an affiliate program. Pretty ingenious if you ask me. Now that you have some brief info on this social sharing site, let’s go into how it can be used to help with branding and marketing. 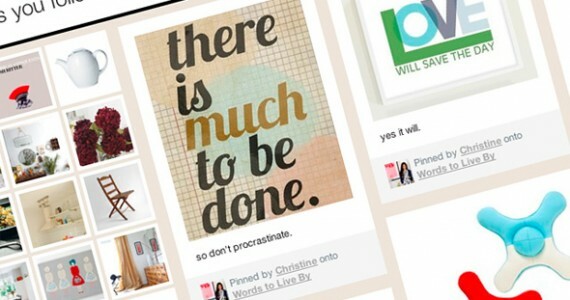 When it comes down to it, Pinterest is about promoting a lifestyle. It is about showcasing all the different elements that help represent who you are. The beauty is that you can use it to represent yourself (a person) or a brand. So how do you go about doing this? Well I would suggest sitting down and brainstorming the topics that you would like your boards to cover. Don’t worry about finding content that doesn’t correlate to an already established board, you always have the opportunity to create new boards if needed. When creating these board topics, really think about ways you can express you or your brand and think about the characteristics and personality traits that really piece together who you are. For example, if you are really into inspirational quotes, create a board for that. If you love finding funny stuff online, create a board for that. If you are obsessed with heels, food or sports, create a board for that. Pinterest is about expressing yourself and that’s exactly what you must do with your boards. You have now set up these boards and can begin pinning but how can this help you and your brand? Let’s first start with how Pinterest can have an impact on your brand. We know it is helping many companies up their traffic and has even led to large increases in sales but what can you do to try and get this same type of impact? 1) Pin content that relates to your target audience. This is no different to any other social media platform…you want to appeal to your audience. If you’re a woman’s clothing company, you may want to appeal to fashion, beauty, health, etc. Take your audience’s interests and what your company stands for and believes in, and find a way to create a good mix between the two. 2) Have company related pins. Once again like other social media networks, you should pin items that directly relate to your company, but this should be a minor percentage of your total pins. Pinterest has seemed to work wonders for many consumer goods based brands because they have found creative and stylistic ways of showcasing their products, so get real artistic with it. Also do not forget to include a $ amount so that a price tag is shown with the image! Note: Do be careful with this though because Pinterest does state that self promotion is frowned upon. 3) Follow and Engage. Pinterest works somewhat like Twitter in that you have ability to follow whoever you like, and you can follow either all of a user’s boards or only specific boards. So go search for those users that fall under your target demographic and begin interacting with them through comments or repining. This will help you bring back eyes to your own boards and hopefully results in comments and repins of your own content. 4) Observe and research. This may just be may favorite thing about Pinterest. Companies are always trying to get into the minds of their audience, especially in the social era, and this may have just provided the best way for brands to do so. You can go and explore the boards of your customers, clients and all others that fall under your target audience and see what truly interests them. This is the perfect way to get to know your consumer and you can then use this information to build a better relationship with your audience. 1) Show off your personality. It is always about defining yourself and how you are different from others, so use Pinterest to push this point. Create boards that represent who you are and what you are interested in. 2) Visually prove that you know what you are talking about. People use social media and blogs to establish themselves as thought leaders in various industries, so why is Pinterest any different? If you want to establish yourself in the fashion industry, pin about fashion and show that you know what you are talking about. Show that you are up to date with the latest trends and showcase your style. If you are into technology, social media or marketing, create boards related to this that includes content such as infographics, graphs, new product images, etc. 3) If you have talents, show it off. This takes both 1 and 2 into consideration, but if you are good at something, then show the world that you are. If you have an eye for style, pin images or photos of your favorite fashion products, outfits, etc. If you have an eye for design, pin some of your work and show the world what you are capable of. If you think hard enough, there will always be some creative way to showcase your talents. So what does all this Pinterest hoopla mean? It means that it is the new hot thing to use and be on right now and nothing more. It’s working wonders for many businesses and more and more people are getting addicted by the second but we have no way of knowing how long this craze will last and whether it is just a blip in the social media path. We know that women dominate this site (they make up about 80% of the users) and this is why many of the top brands represented on Pinterest are associated with shopping, fashion, health, etc. So now marketers from all over are most likely trying to dig into this new social sharing site and see whether they can pull more out of it. That’s what social media marketing has become. Finding the new big deal and figuring out how it can work for you. People are loving Pinterest and brands are loving that people are loving it…hope that isn’t too confusing. 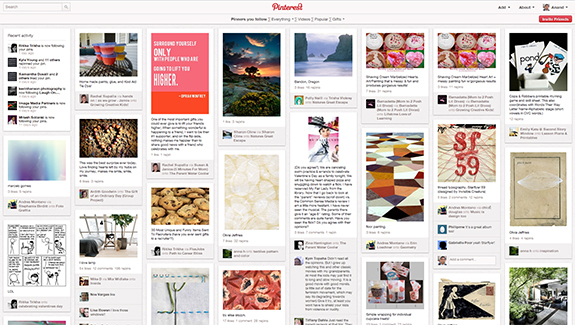 I’m sure you’ve used or heard of Pinterest by now so jump on (get an invite) and see what all the commotion is about. If you currently use it, what do you like most about it and how do you think it can be used for personal or company branding? Finally, how long do you think this visual sharing trend will last and can it catch on to a male audience through either Pinterest or Gentlemint (My answer: no)? You can also follow me on Pinterest and I will try my best to be as active as possible on there! Your topic give me more knowledge to share with my friends. I am very littered with reading this text. 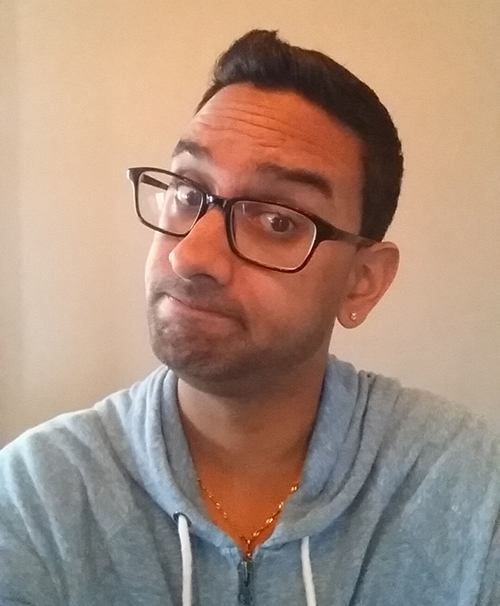 fascinating post and that i am keen on your wrestle the difficulty. thanks such allotments, hold it up, do extra efforts in future. I really enjoyed this article and linked back to your site , as a reference for an article in my company blog. It is incredible the trend of traffic that Pinterest is getting and the huge amount of Buzz that goes along with it. I myself have a Pinterest account and find it interesting, although my wife is more active on it then me! Thanks! @Ronnie Kirchner | H2OSocial Thanks for linking back and glad you enjoyed it. Like I said, it's pinsanity right now! I have been using my account every now and then but it is definitely more directed towards women, or at least for now it is.